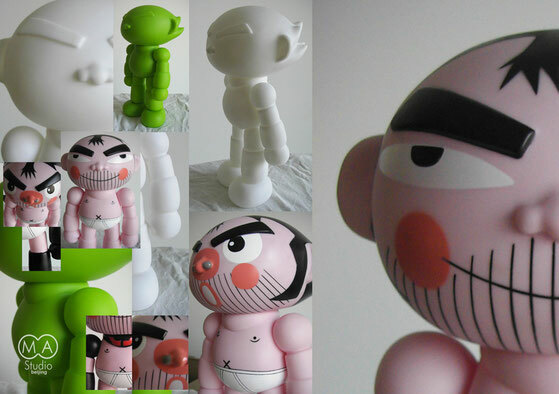 JUDAS Z is a 35cm tall PVC figurine and will come in 9 different models, with each design limited to 50-pcs. 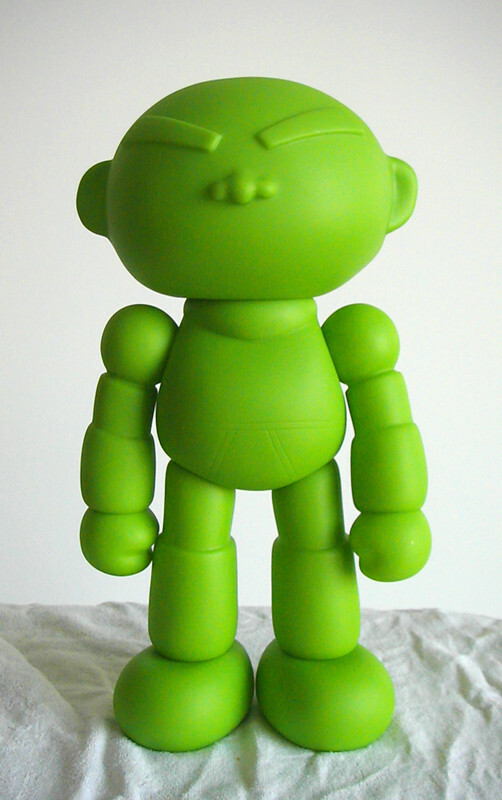 Currently Painted, Green & White Judas Zs are available in 1 edition (PVC TOY+ BAG). All toys are signed with the edition number. Each piece price is 100 euro. 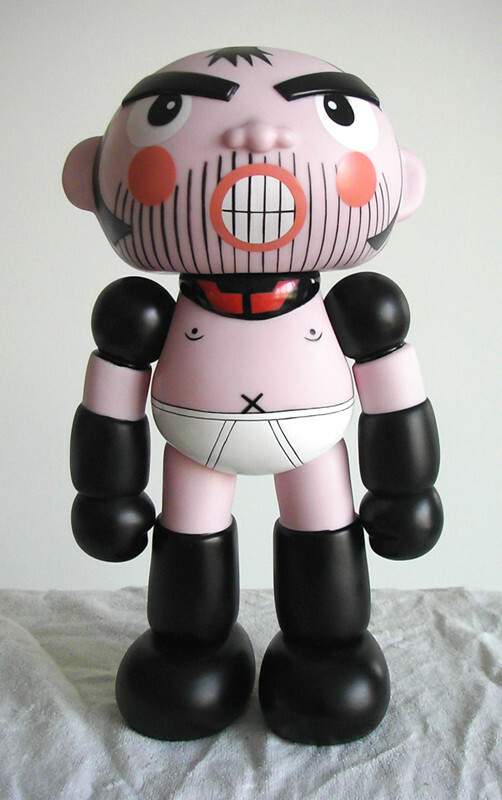 Looking at the JudasZ figure, you get the sense that it’s been influenced by Astro Boy, Panda Z and the artist himself. If you go to Judas’ website, you’ll notice that the figure looks eerily similar to the artist. 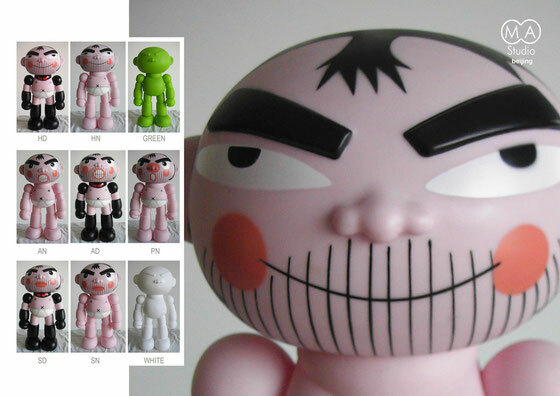 So, who wouldn’t want a PVC figure with male pattern baldness? (It actually sort of has a rotocast vinyl feel to it) Balding toys don’t get the same respect as their bouffant haired counterparts. And for that reason, we really like the design of this piece. It’s just a fun looking character. As far as quality, I believe that most of these figures have been displayed in various gallery shows. So they might not look or feel fresh out of the box. The joints were a little loose, but there was no paint transfer or marks on the piece. 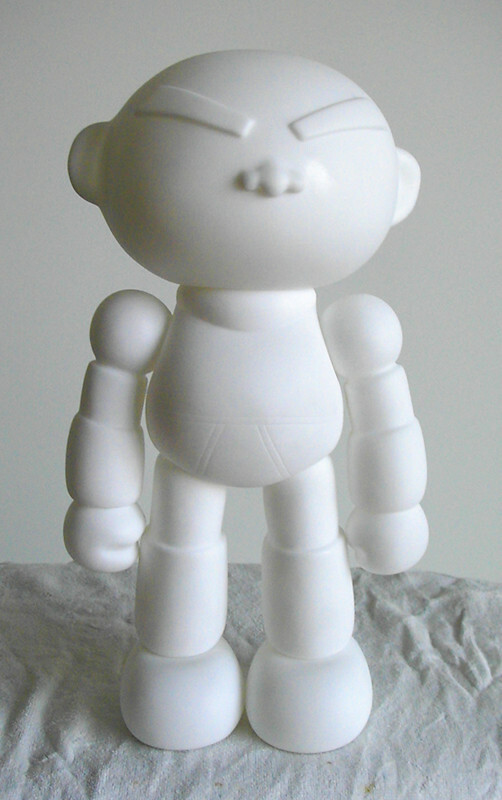 The figure is pretty large, measuring in close to 14” tall. And it has sculpted features such as the eyebrows, flared hair in the back and a little nose. Overall, we think JudasZ is one of the more entertaining characters we’ve stumbled upon. 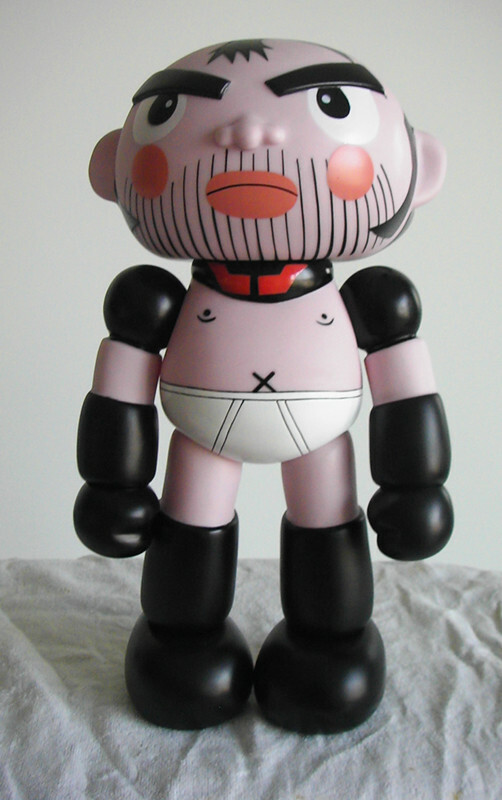 It’s a very unique piece that’s been independently produced and distributed by the artist himself.